Check out full specification and finance estimates here! 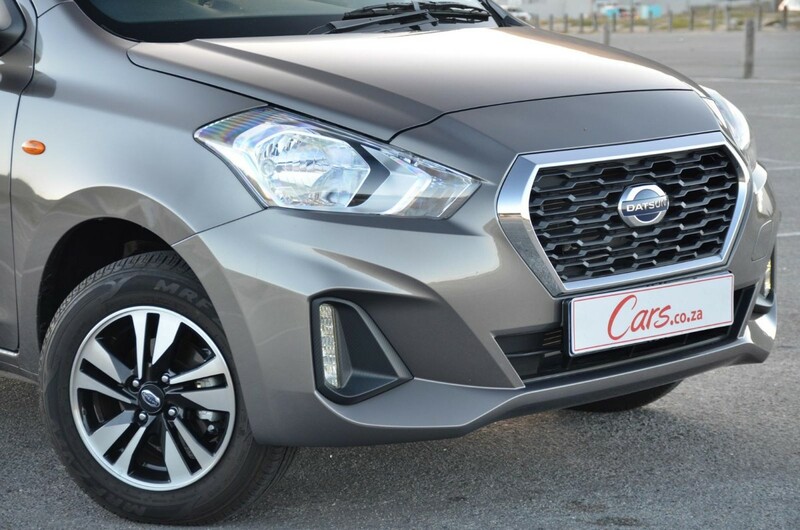 Datsun dealerships regularly offer specials, take a look at new car specials here! The Datsun Go now has a more refined look and rides on 14-inch alloy wheels in Lux guise. 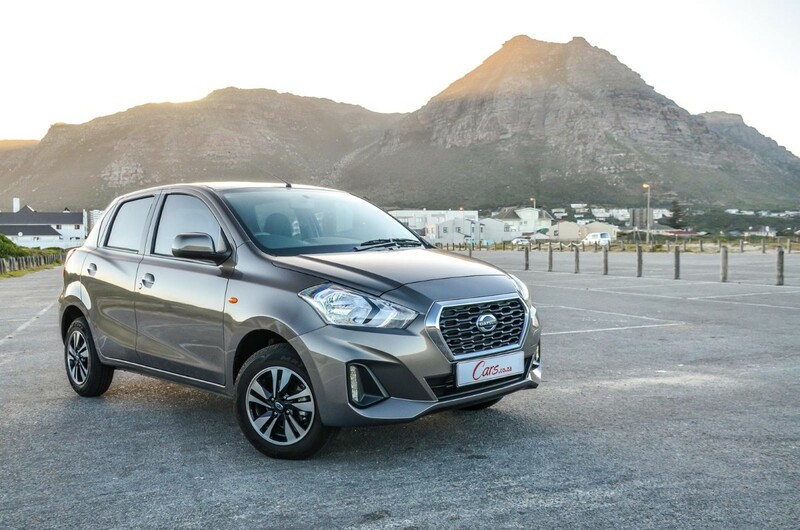 The Datsun brand made its return in 2014 with the launch of the Go budget car and despite lacking critical safety features such as airbags and ABS, the Go and its 7-seater Go+ sibling have been well received by the local market with well over 20 000 units sold since its introduction. 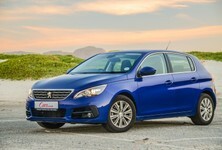 A plucky 1.2-litre engine gets the Go moving, while returning good fuel consumption. The Go has a kerb weight of only 788 kg, which means it’s a relative lightweight; its naturally aspirated 1.2-litre, 3-cylinder petrol engine, therefore, doesn’t have to work too hard to get the Go, um, going. Fifty kW and 104 Nm of torque drive the front wheels through a 5-speed manual 'gearbox. 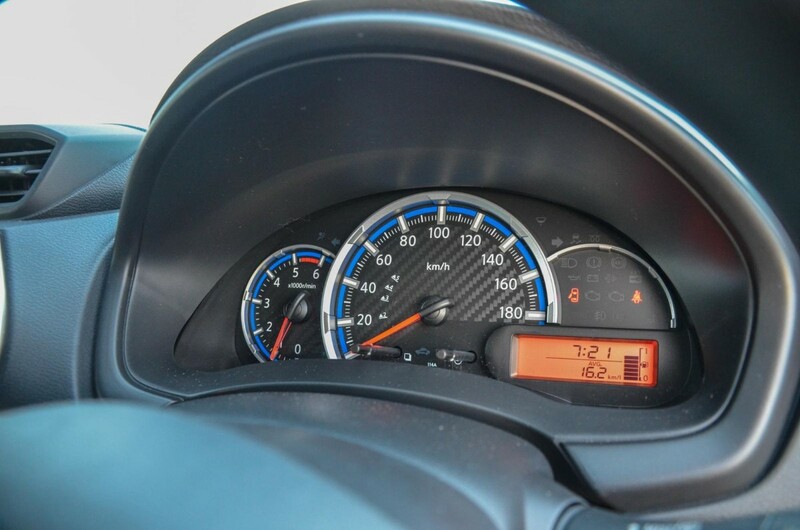 The rate of acceleration is far from mind-blowing, but the Datsun gets up to speed reasonably quickly and has little trouble keeping up with traffic at the highway speed limit. You will, however, have to gear down (to keep the 3-pot in its sweet spot) to execute swift overtaking manoeuvres. The major gripe we have with this engine is that it emits an insipid hollow noise at higher revs, but when driven with restraint the Go's powerplant is adequately subdued and relatively unobtrusive. 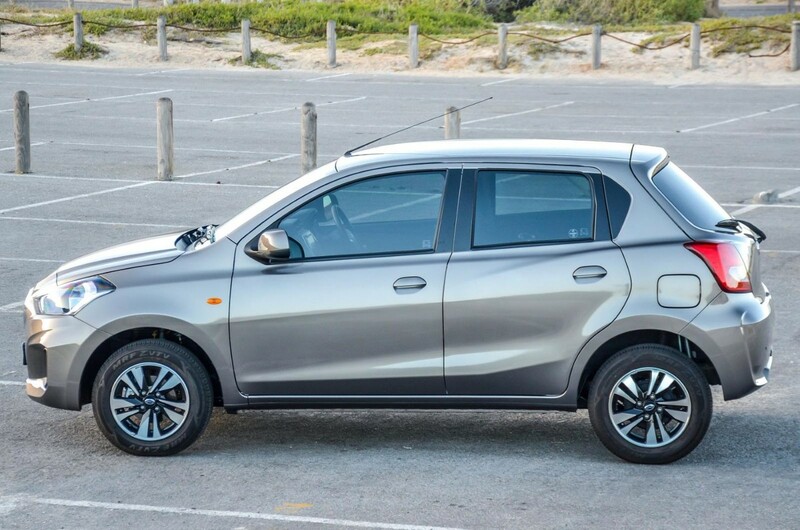 As a side note, due to its weight (and skinny tyres – a staple of budget-oriented models), the Go is easily blown around in stronger winds, leaving the driver to hacksaw at the steering wheel to keep the car in its lane on the highway. 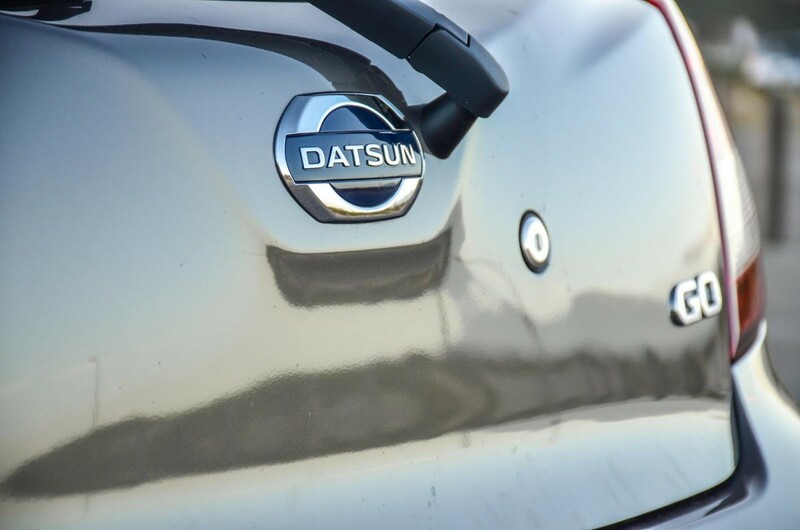 In terms of efficiency, however, the Datsun shines. The firm claims an average fuel consumption figure of 5.2 L/100 km and during our test, the 1.2 Lux returned figures of around 6.1 L/100 km, which suggests it's a sensible urban runabout for those looking to cut down on exorbitant fuel costs. Simple, functional and fuss-free best describes the interior of the updated Go. Gone is the single front bench and awkward umbrella-handle handbrake; they've been replaced by 2 individual front seats and a conventional 'brake lever. Thank goodness! Although hard, dare I say, cheap plastic finishes dominate the cabin, the effect is more aesthetically pleasing than before. A new touchscreen infotainment system with Apple CarPlay and Android Auto sets the Datsun Go apart from its rivals. 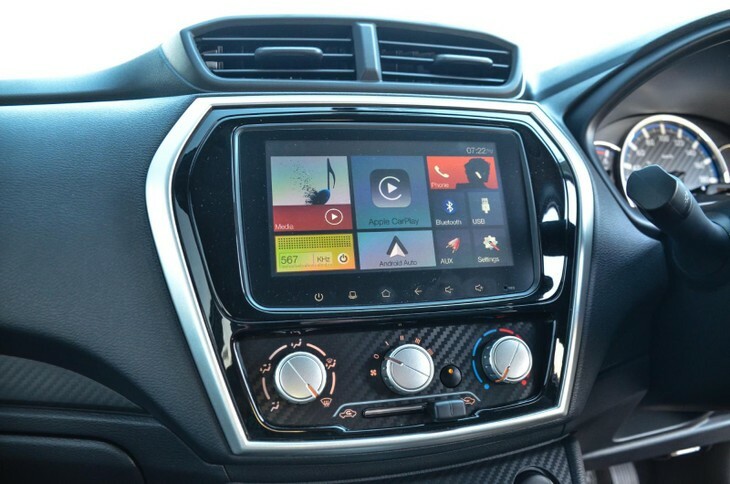 Other notable standard features include USB and auxiliary ports, electric windows and side mirrors, air conditioning and rear park distance control. 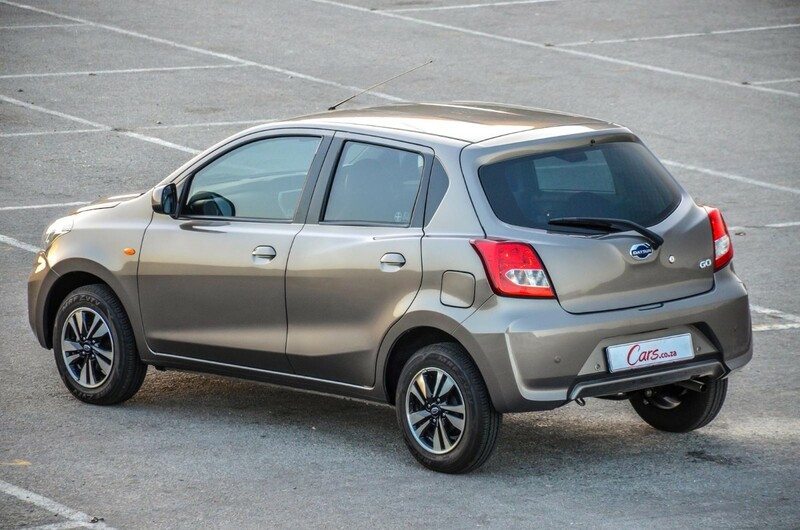 In terms of practicality, the Datsun Go is average. The load bay offers 265 litres of space and the rear bench does not split (the entire seatback folds down) and the load floor isn’t flat as the seat creates a large lip. Taller rear passengers will feel cramped by virtue of minimal leg- and headroom. Now with 2 airbags and ABS, the Go is ostensibly safer than its ever been. 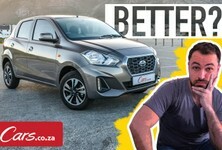 While buying trends show that South African budget buyers tend to prioritise value-for-money over safety, Datsun deserves praise for fitting 2 airbags and ABS as standard on the updated Go – the lack (or late addition) of these features drew a fair deal of criticism to the earlier model. However, until Datsun and independent bodies can confirm otherwise, the integrity of the vehicle structure remains marginal. 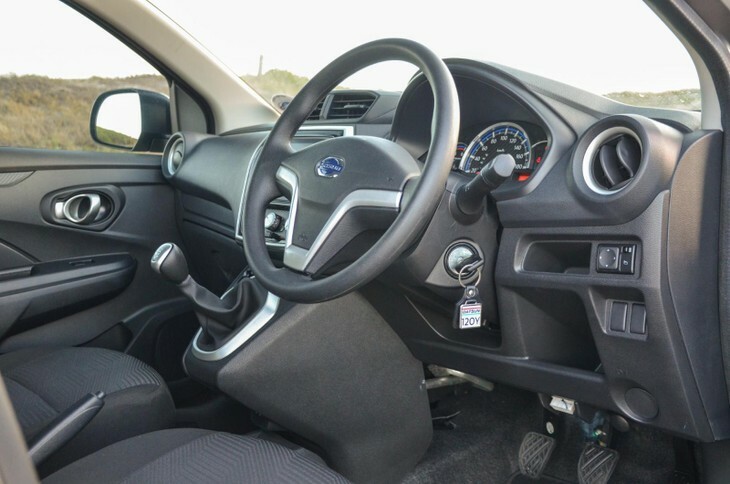 Local crash tests of the Go+ derivative (conducted by Global NCAP and the Automobile Association of South Africa in 2017) highlighted poor adult occupant protection (despite having 1 airbag fitted) and the vehicle structure was found to be "unstable". As a result, the Go+ only received a 1-star safety rating. 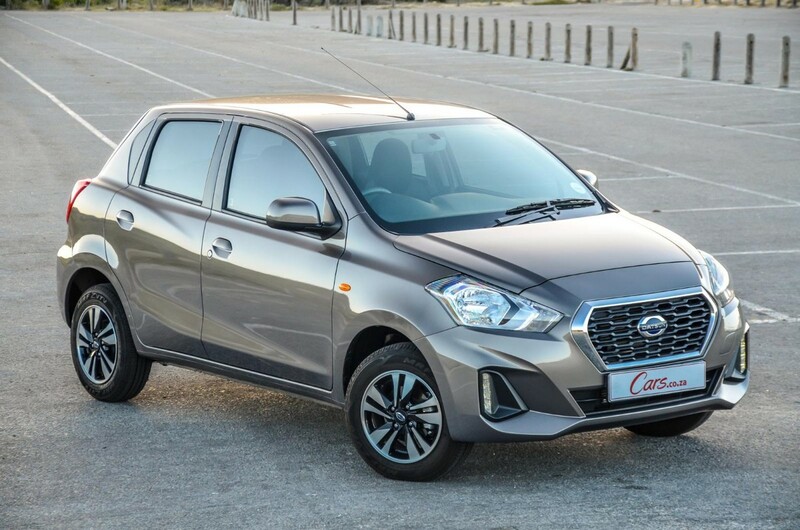 Nonetheless, with airbags and ABS, the Datsun Go is now far easier to recommend on the grounds of safety than before and it’s pleasing to see improvements being made in this regard. The parcel shelf with its poorly finished rubbers is an eyesore. 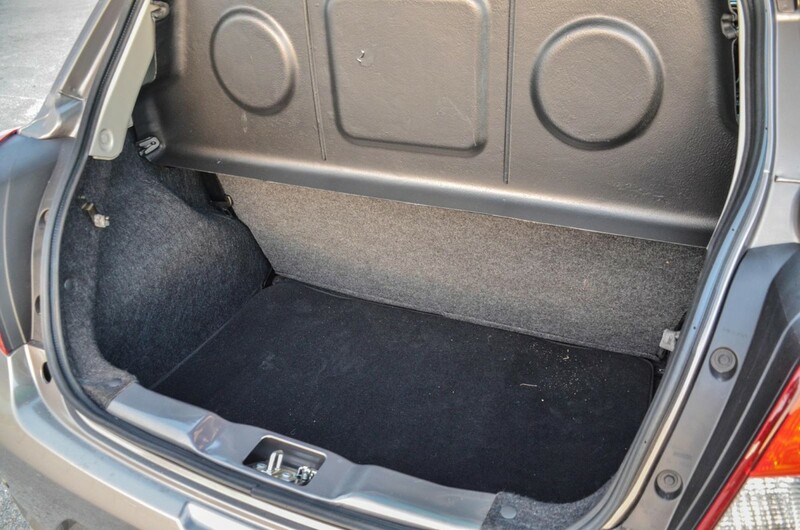 The load bay, however, offers 265 litres of luggage space. 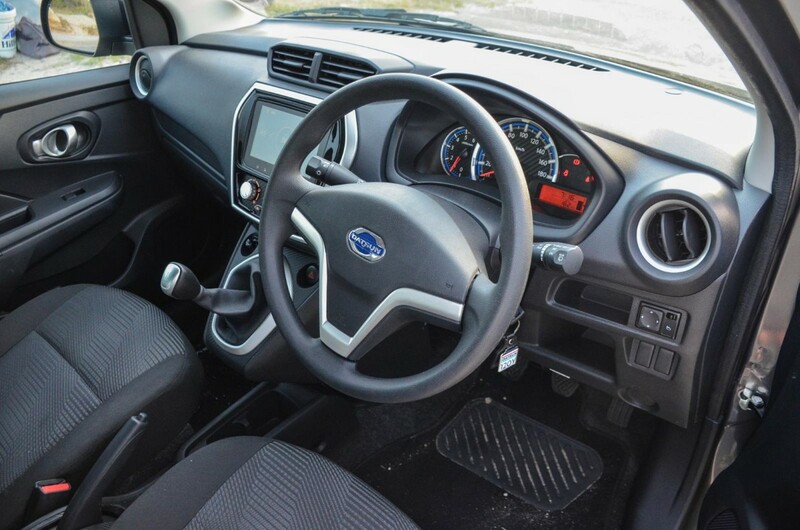 Even though the switchgear looks and feels "toy-like", the driver’s cabin is arguably of acceptable quality for a budget car at this price range. However, there are some details that call the overall build quality into question. If you open and close the doors and/or tailgate or tap the headliner with your fingertips, you're more than likely to hear just how thin and insubstantial they are. 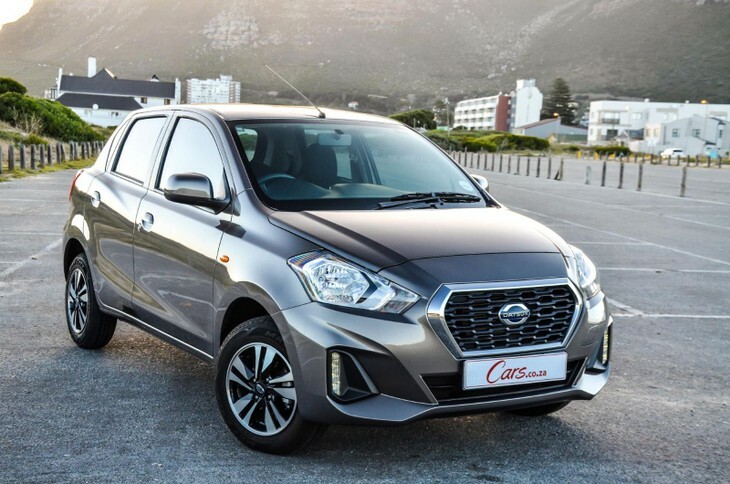 It’s interesting to note that when the Datsun Go was first launched in South Africa, it was priced under R100k, and for that money, you could somewhat accept its flaws because ultimately, you get what you pay for in that price range. Today though, this 1.2 Lux derivative is priced at R165 500 and apart from airbags, ABS, a touchscreen and a few styling tweaks, it’s the same car, just a whole lot pricier. The overall driving experience is marred by an uncommunicative and wooden steering feel. We were not particularly impressed with the steering feel of the Datsun Go, either. The steering is not very communicative and it feels quite insular and wooden. You never quite know what the front wheels are doing and there’s a fair amount of body roll when cornering with any sense of urgency. As a basic city runabout, the Datsun Go works, but it fails to offer anything resembling a pleasing drive. 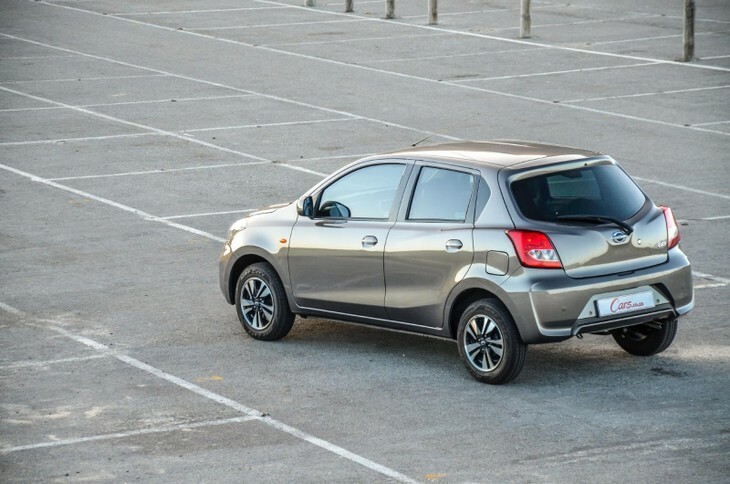 The Go 1.2 Lux is priced from R165 500 and is sold with a 3-year/100 000 km warranty and, at the time this review was published (January 2019) 1-year comprehensive insurance (subsidised) OR R6 000 deposit assistance. For the money, the Datsun Go 1,2 Lux is not as convincing as we had hoped it would be. 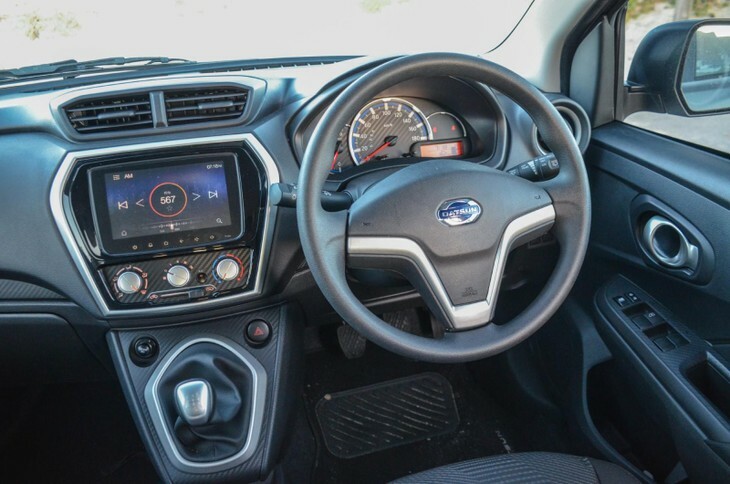 The Datsun Go makes a stronger case for itself by offering improved safety features and an advanced touchscreen, which is bound to secure more sales in this tightly-contested segment. However, while its engine offers acceptable performance and returns good fuel consumption on a daily basis, the Go disappoints in terms of its overall driving feel and iffy build quality (not that that would matter to all budget-market new car buyers). At this price point, buyers have lots of choice, including cars such as the Kia Picanto, Suzuki Celerio, Hyundai Grand i10, Toyota Aygo (to name a few), all of which are worthy contenders in the budget segment and we suggest that potential buyers test drive all of them in an effort to make an informed decision. 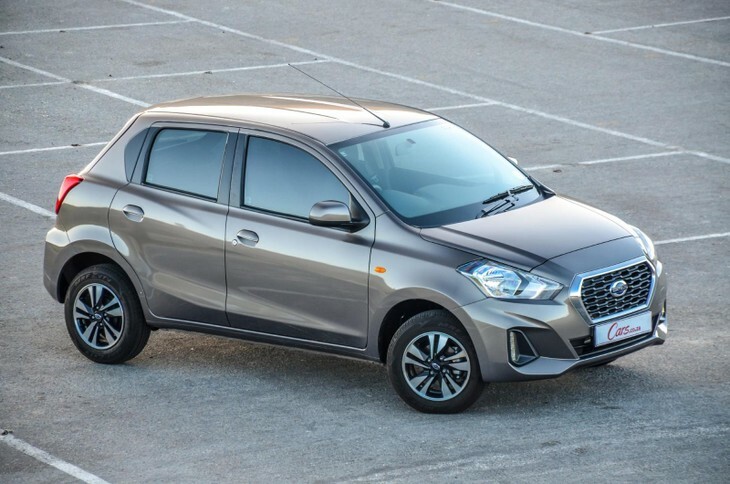 Is the latest Datsun Go 1.2 Lux worth its price tag? Based on our experience, we think it falls a little short. As an alternative to the above, if you are seriously considering the Datsun Go, you may want to consider forking out an additional R12 400 and hop into the new Suzuki Swift 1.2 GL (R177 900) which is a #CarsAwards Budget Car finalist and one of the best offerings in this segment. The new Swift has come of age and not only is it more spacious than the Go, it’s also more refined and drives and handles better. The Swift offers more power and torque too with 61 kW and 113 Nm of torque developed by its 1.2-litre petrol engine. The Swift 1.2 GL is priced at R177 900. Priced at R168 995, the Kia Picanto 1.0 Style is a sound offering. 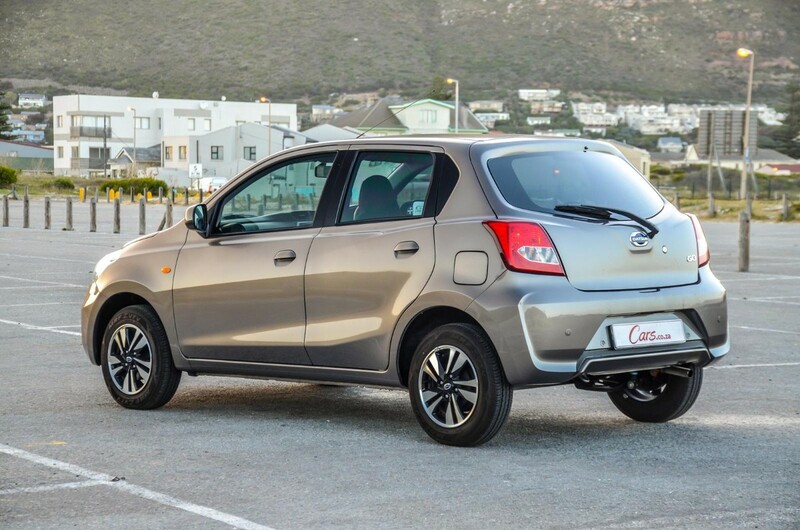 Its plucky 1.0-litre petrol engine produces 49 kW and 95 Nm of torque and it’s arguably more stylish than the Datsun Go. 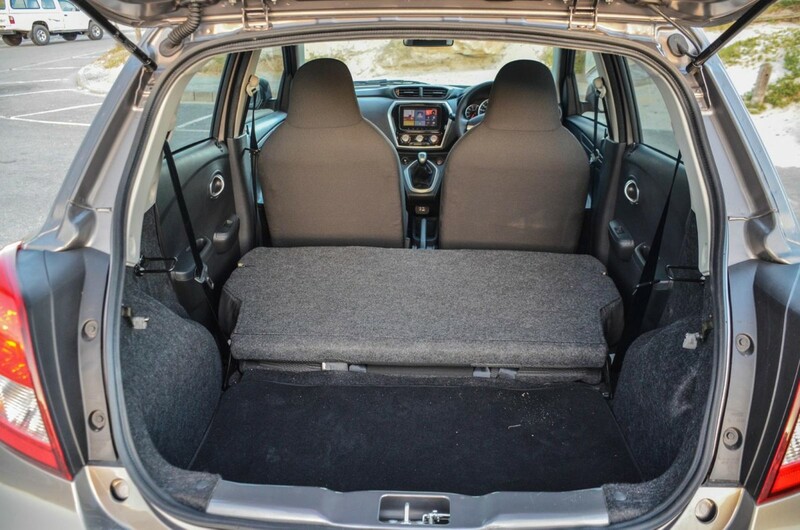 If it’s more space you are after then the Celerio is a good bet. 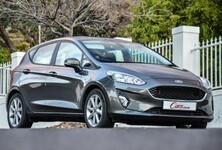 It offers 50 kW and 90 Nm from its 1.0-litre petrol engine and is cheaper than the Datsun Go with a price of R156 900. 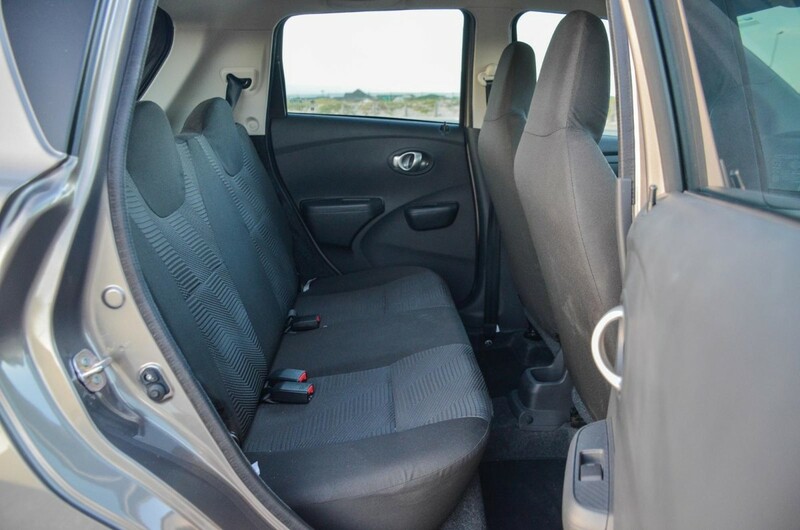 With a comprehensive warranty and spacious interior, the Grand i10 is worth a test drive. 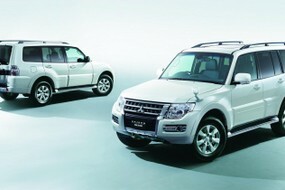 Its 1.0-litre petrol engine offers 48 kW and 94 Nm. this derivative is priced from R164 900.